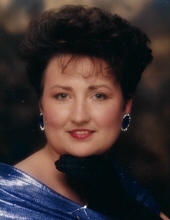 CREEDMOOR: Judy Jacobs Minton, 66, of Creedmoor passed away at home peacefully Saturday, October 20, 2018. Mrs. Minton was born in Granville Co, the daughter of the late Claude Junior Jacobs and Nancy Perry Jacobs. Mrs. Minton was preceded in death by her husband, William “Butch” Minton. Mrs. Minton is survived by daughters, Katina Perry and husband Bobby, Tonya Medlin and husband Jay; grandchildren, Krista Ann Perry, Amber Nicole Medlin, Britney Ann Medlin, Kaylee Ann Perry and Cody James Medlin; sister, Barbara Roberts and husband Tim. Judy was an inspiration to anyone who had the privilege to know her. Judy was a beautiful soul who fought a strong and courageous battle with Multiple Sclerosis for 20 years. She adored her daughters and her most precious joys in life were her grandkids. Judy loved spending time with her family, shopping, going to the beach, Elvis and listening to country and beach music. She also enjoyed collecting Barbie dolls and loved her jewelry. Mama will be missed tremendously by “us”, her family as she has earned her angel wings and is now in heaven with her soulmate and the love of her life, Butch. A funeral Service will be held Wednesday, October 24 at 11am in Clements Funeral Chapel, Durham, NC. Burial will follow at Maplewood Cemetery in Durham, NC. The family will receive friends Tuesday, October 23 from 6 to 8pm at Clements Funeral Home in Durham. To send flowers or a remembrance gift to the family of Judy Jacobs Minton, please visit our Tribute Store. "Email Address" would like to share the life celebration of Judy Jacobs Minton. Click on the "link" to go to share a favorite memory or leave a condolence message for the family.